In an attempt to once again avoid the length of a piece of string theory of measurement, we have spoken to some builders and have collated some rough guides – please consider these estimated guides only. Perhaps more helpfully, there are links on this page to sites where you will find far more accurate guidance. 1 Extensions: To budget for the build of a single storey extension is to consider what the internal specification will be. If you plan to add a cinema room, a downstairs bathroom, a kitchen extension, it will have many variables, but the cost of the build itself will need ball-park estimations before proceeding. It could of course cost anything, but if you work on the basis of between £1,000 and £1,500 a square metre you will hopefully not be too far off. Based on these figures a 5 x 4 metre extension could cost as much as £30,000, although it could come in at half that if the works involved are not too complicated. A double storey extension should cost around 25% less per square metre depending on materials, upstairs fit-out etc. 2 Garage Conversion: There are garage conversion companies that specialise in just that, and will work to fixed costs, which often helps with borrowing. The issues to consider are walls and floor. The walls are often single skin and foundations may have to be reinforced. A workable guide would possibly be between £4,000 and £10,000, depending on apertures, bathrooms etc. 3 Loft Conversion: www.whatprice.co.uk has a handy conversion calculator, which will provide a fair average to be getting on with. 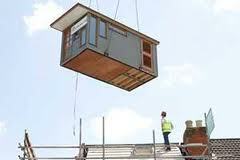 Using their example of a fairly basic loft conversion the price came in at £22,000. 4 Conservatory: You can get a small DIY conservatory for £1,500. Directly relating to construction, size and finish, prices go up as much as you want them to. You could get a standard 4m x 4m fully fitted Conservatory for less than £7,000. 5 Orangery: While we have no idea of the standard and quality you might require, we have seen 4m x 4m brick built Orangeries with 10 year guarantees, fully erected, for just £14,000 on eBay. While construction materials would suggest Orangeries will always be more expensive than a Conservatory they are also more likely to increase the value of your property. 6 Basement Conversion: Basement conversions may not necessarily be a specialist job, but not many builders have experience of it, so these guidelines will be fairly rough. You should be looking at somewhere in the region of £850 - £1,150 per square metre for an existing basement. Perhaps £1,650 - £2,200 per square metre if the existing basement needs the floor lowering so that the room height can reach the minimum requirement of 2 metres. And expect a figure of £2,500 - £4,000 for a new build basement, excavated below an existing property wouldn’t be far off. 7 Mini Cellar: A spiral wine cellar is likely to cost between £10,000 and £15,000. Other conversions to smaller, existing cellars may include the cost of tanking, possibly wiring boxing in, and maybe dropping the floor to gain the appropriate height. Extensions Add Value Don't They? When costing out an extension it is worth checking the valuations of properties within a quarter of a mile of your house on Rightmove. If you take a look at a selection of similar value properties to your own, they should include a floor-plan. A quick calculation of value divided by square metre will provide you with an approximate value per square metre in your area. If you then compare that with the cost per square metre of your extension, you will learn the value. In some cases it could be cheaper to move home. One way of spending more on double glazing or a conservatory is to buy from a double glazing firm and get them to install. This of course is the way in which almost everyone has these jobs done. Yet, if you bought the windows directly from a manufacturer and had a builder install them it could work out cheaper. But even then, most are unlikely to go down this route. Why then, would most of us get a builder to convert a garage or build additional loft space? It is of course all about familiarity and acceptance of the status quo. You could just as easily get a specialist garage conversion company in, for example.